Kids can do the darndest things nowadays. 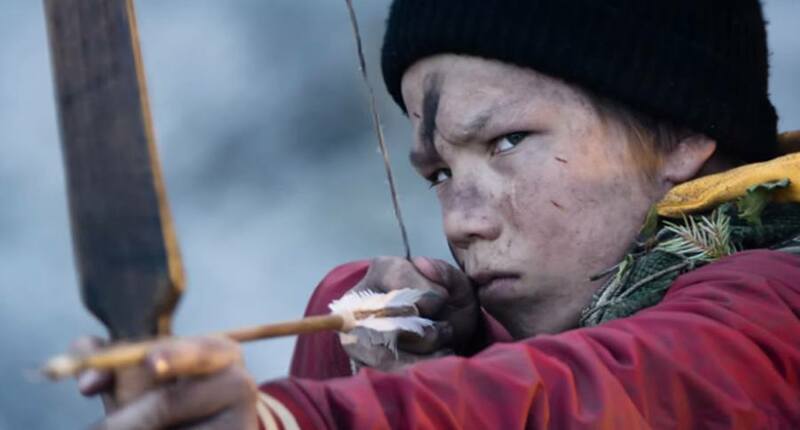 13 year-old Oskari (Onni Tomilla) is coming up on a coming-of-age moment in his life. He is at the point where he must prove his manhood to his Finnish kinsfolk. This involves going on a hunting excursion alone with only a bow and arrow and a hunting knife, in an effort to bring back some dead Big Game which will affirm his status amongst his people. On the hunt for game, Oskari instead discovers an escape pod in the woods that is housing none other than the President of the United States, William Allen Moore (Samuel L. Jackson). Moore’s Air Force One plane has been reduced to rubble, and unbeknownst to him, he is a victim of an inside job by one of his Secret Service agents. Now, Oskari and Moore have to become linked at the hip to survive and unravel just who flipped on the President, and of course, save the world. 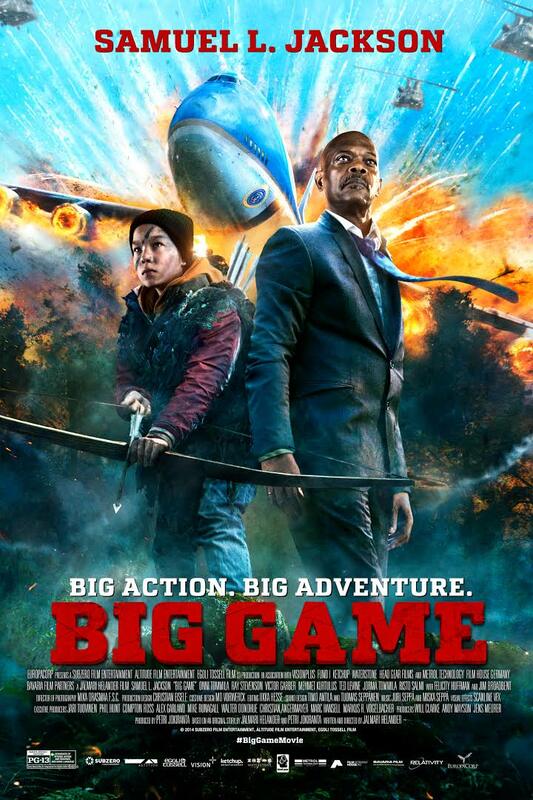 Big Game takes its inspiration from 80’s/early 90’s movies, both of the action and coming-of-age variety. If yours truly could describe it, think The Karate Kid mixed with a very tame Rambo, a tablespoon of Cliffhanger, and a hint of Spy Kids. Problem is, this isn’t anywhere near as entertaining as those (Spy Kids 1 was solid). Instead of trying to pay homage to those films, Big Game comes off as a lame attempt to do so, ultimately making this an agonizing chore to get through. Directed by Jalmari Helander and shot on a budget of nine million, one can expect that some scenes just are not going to be up to snuff like their big budget brethren. That is fine, but it doesn’t excuse the fact that so much of the movie’s action and set pieces are uninspiring and filled with very noticeable CGI and green screen. In a nutshell, there is much worse action out there, but better action has been created with smaller budgets. This is a problem, but an even bigger one happens to be that the real explosive stuff doesn’t occur until two-thirds of the movie have been completed. Not a problem, except for the fact that, you know, this is an action movie. The lack of action only brings more unwanted attention to the mundane story. I know it isn’t supposed to be taken seriously, but since it takes much time for anything of note to occur, this actually pushes the flimsy story to the forefront. Where to start? For starters, there is a ton of dialogue that is designed to bring some background to Oskari and his village. Almost all of it is through subtitles, which yours truly normally has no problem with. Here, however, the font and white letter coloring makes the subtitles unreadable against a snow-capped background, which truly is a tough way to begin viewing a movie. 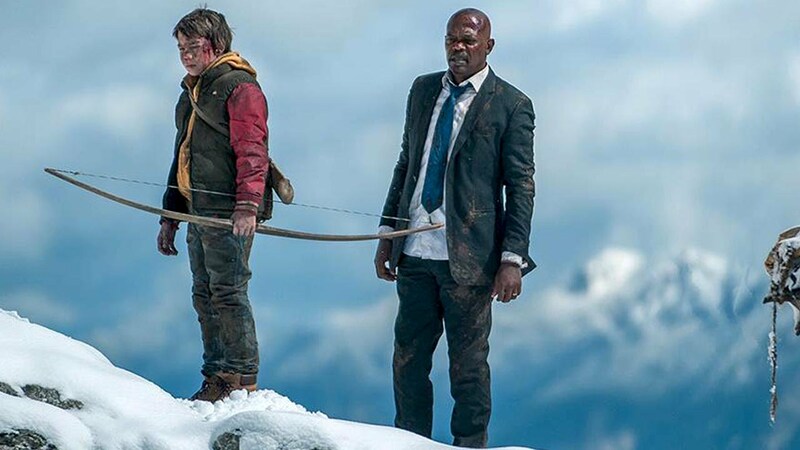 After the 10-minute subtitle fiasco, much of Big Game, until the final act, is really just Samuel L. and Tomilla walking around trying to figure out what to do next. It isn’t exciting, adds nothing to the story, and the two leads have mediocre chemistry at best. 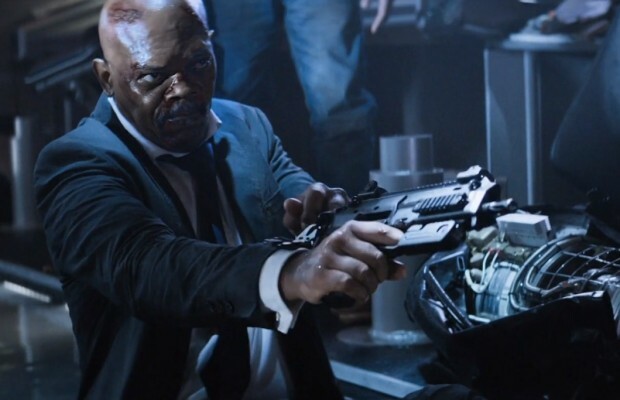 Despite not being the star of this, Samuel L. Jackson is the only person to have his name on the poster. Over the years, whenever SLJ appears in something, audiences don’t expect an amazing performance but at least know that a fun time will likely be had. Maybe it is the character he plays, or just a straight cash-in, but whatever the reason, Jackson is pretty sedated. Big Game desperately needed an over-the-top performance where Jackson goes off on hilarious tirades and what not, but aside from one classically delivered line near the end, his casting essentially feels like an effort to have someone recognizable in the movie without taking advantage of it. He becomes the sidekick to Onni Tommila. The kid looks convincing in doing action, and down the line it isn’t hard to see him being a consistent and villainous presence in the genre. Still, he comes off as very wooden here, which I believe is unintentional even though the film tries so hard to be a cheese-fest, which is painfully unfunny from that regard. Honestly, his character and subsequent adventure are not that compelling. Considering there were no expectations on my end with this one, hopefully all of this says something about the feelings yours truly has about Big Game, a film luckily not many have seen or are even aware of based upon the financial returns. More fitting titles would be Big Lame, Big Shame, or Big Disdain. Photo credits go to Youtube.com, IMDB.com, wideopenspaces.com, and bloody-disgusting.com. As bad as the film sounds that’s such a Samuel L. Jackson quote at the start! It is! Sadly, that isn’t reason to give this the time. In due time (if it isn’t up already), you’ll be able to find it on YouTube! It’s weird. This is actually certified fresh by RT (80%), but only 38% of the audience viewing liked it. I’ve obviously sided with the audience lol.